Apple turned up to 11! Strapped Sour Apple Refresher is full of unbelievably sour apple flavour, topped off with a burst of fizzy sherbet that’ll leave your taste buds tingling. Sour Apple Refresher is now available as a nic salt pod for the Aspire Gusto Mini, adding an extra dimension of satisfaction to this candy-inspired blend. Another new fave, was almost put off buying it because it says ‘sour’. Glad I did though- it isn’t... sweet apple taste is gonna be a new regular vape for me. 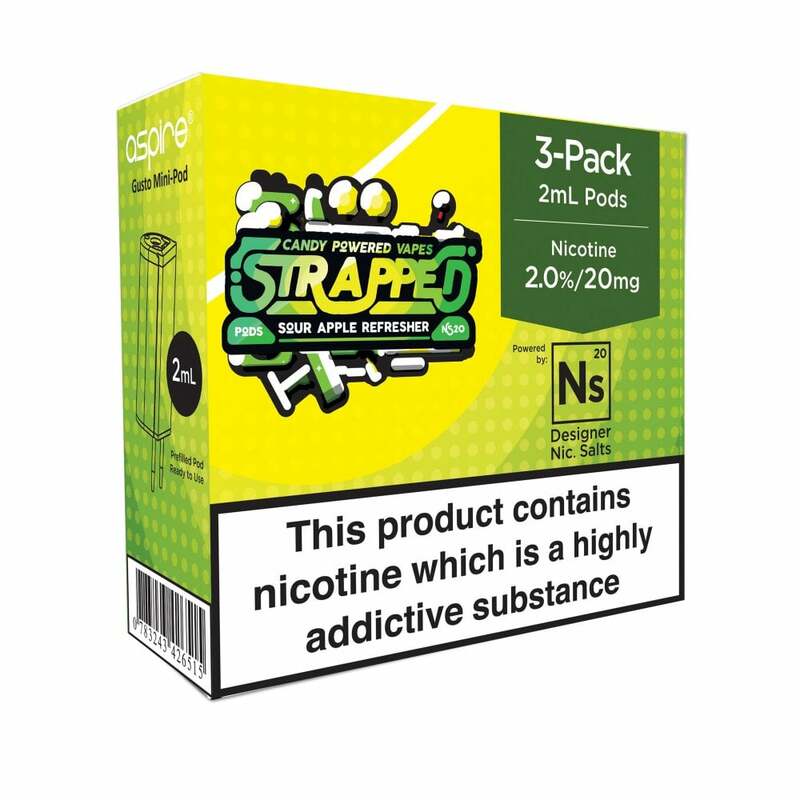 I personally love this flavour nice strong green apple flavour with the hint of sour Sherbet! I like flavours like this but everyone has different tastes! I will be buying again a favourite for me! Just like it says on the tin ........ great taste......can get a little sweet if, like me, you can't stop using it! !